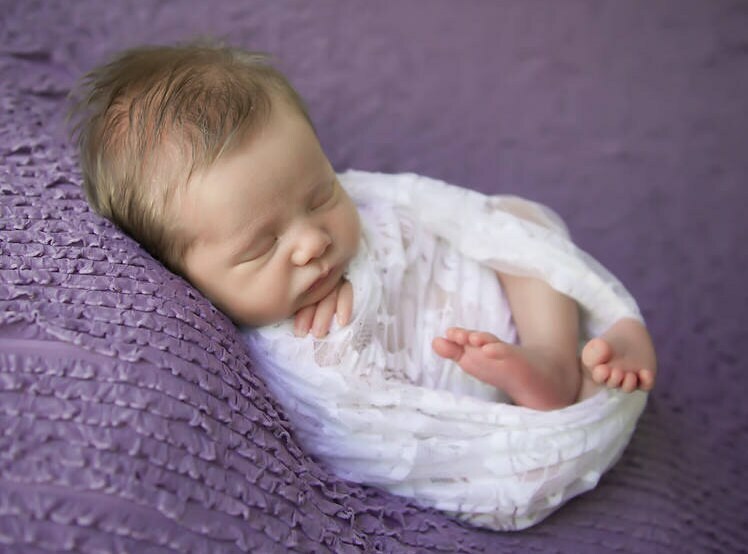 White Stretch Lace Swaddle Wrap for newborn photo shoots, lace wrap by Lil Miss Sweet Pea. This was basically just a cut piece of lace with raw edging. Pretty but not worth the money in my opinion. 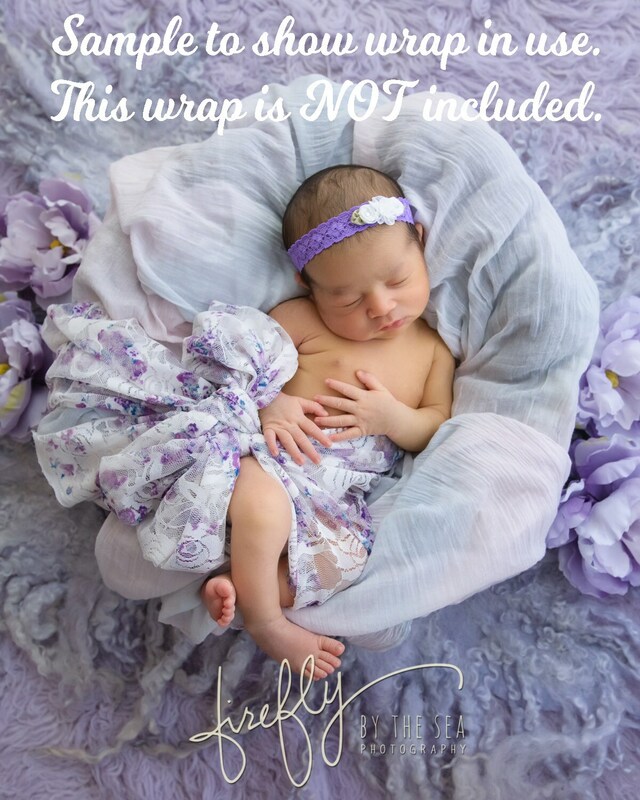 Nice quality wrap, fast shipping!